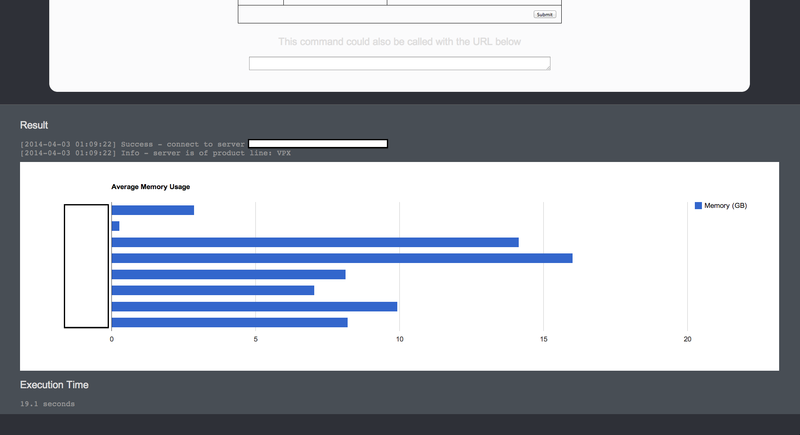 Read an interesting blog by @HostileCoding (can be found here) about using Google Chart with PowerCLI and thought it would be great to integrate it with webCommander. For more information about Google Chart, click here. Now, there are three things to think about. The name of variables can be anything you would like to use but there is one critical thing to note that variable charttitle has ” and datalist doesn’t. The reason is quite simple, charttitle is string and datalist is a hash table. The data cannot be parsed as a string. It is time to write up a simple PowerCLI script to load the chart function. For the PowerCLI script, I referenced @HostileCoding’s script. $charttitle = "Average Memory Usage"
$datalist = "[['Virtual Machine', 'Memory (GB)'],"
$datalist = ($datalist -replace ",$") + "]"
The best thing about scripting I can think of is “customisation” and “automation”. With webCommander integrated with Google Chart, it could produce more in depth reports other than just tables. Sometimes, it’s much easier to compare elements visually. 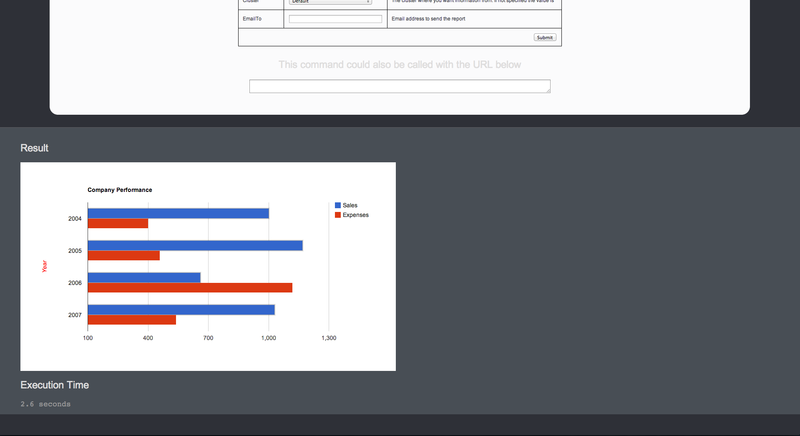 Or, it will be even much better to generate a report with table and chart! Another suggestion I can make is to utilise Google Tables instead of normal HTML table. One of the benefit of using Google Table is sorting. For example, users will able to sort a table by largest memory usage. Hope the article is easy enough to follow and most importantly, have fun!